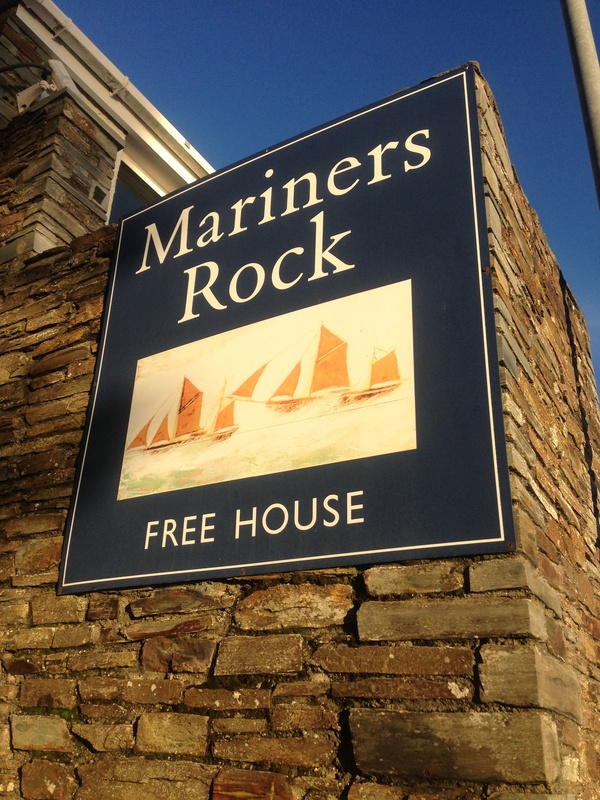 No trip to Cornwall would be complete without a visit to Rock. Whether or not the Camel estuary tide is in, there cannot be many places as equally beautiful and dramatic. It is easy to see why it’s my partners favourite place in North Cornwall though amid the long stretches’ of sand and view over to Padstow I have always found it too aloof to meet my ideal. You can smell the money in the air here. The promenade has 4×4’x as chunky as the knitwear wrapped over the shoulders as its drivers, whilst on the beach has pure-bred dogs nearly as large as its owners trust fund. With such wealth, it is completely understandable why Nathan Outlaw had until recently based his two Michelin star restaurant here. He has since upped and moved to a larger premises and the passing trade of Doc Martin in nearby Port Isaac, leaving behind a gap to fill in the local market. 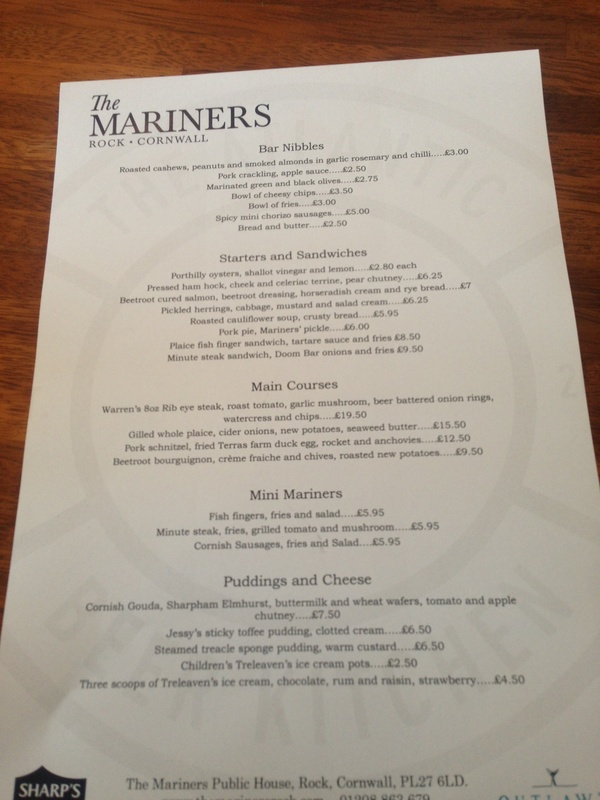 In it’s place is The Mariners, a much more casual offering, steering away from the precise seafood Outlaw has made a name from and in to much more familiar pub food territory. 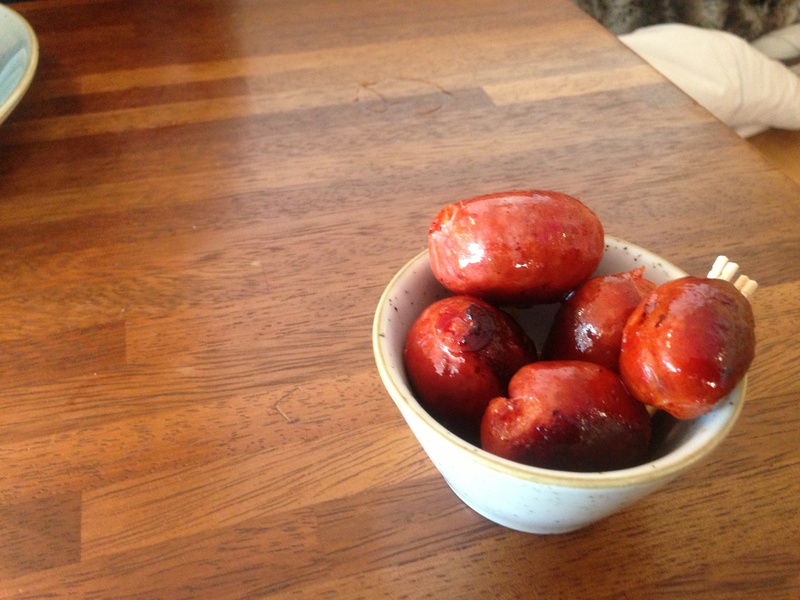 Mini chorizo sausages seemed a good place to start a light lunch. Five of them, good meaty things, for a fiver. See, I told you Rock was expensive. 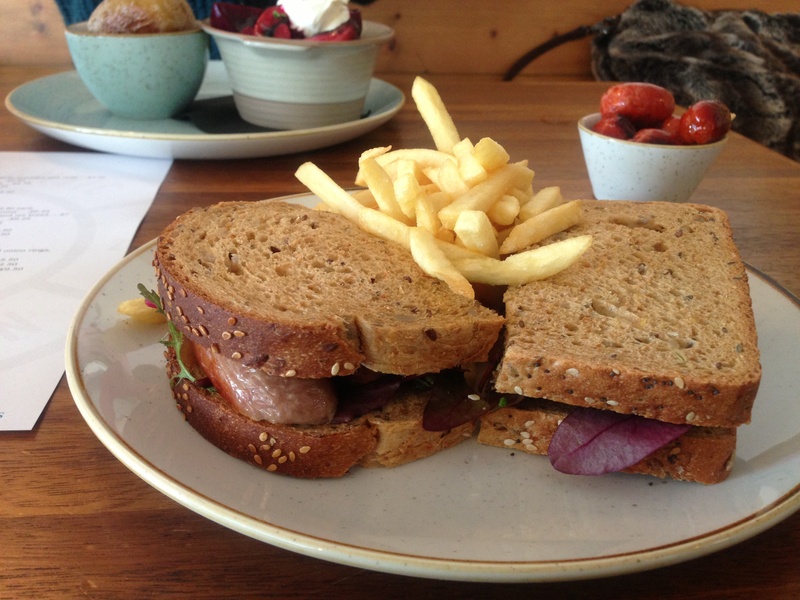 A sausage sandwich, picked from the specials menu, saw wonderful things done with onions braised in ale. Less wonderful were the sausages itself, with the casing flaccid in parts from not being sufficiently browned off. Fries were fine. 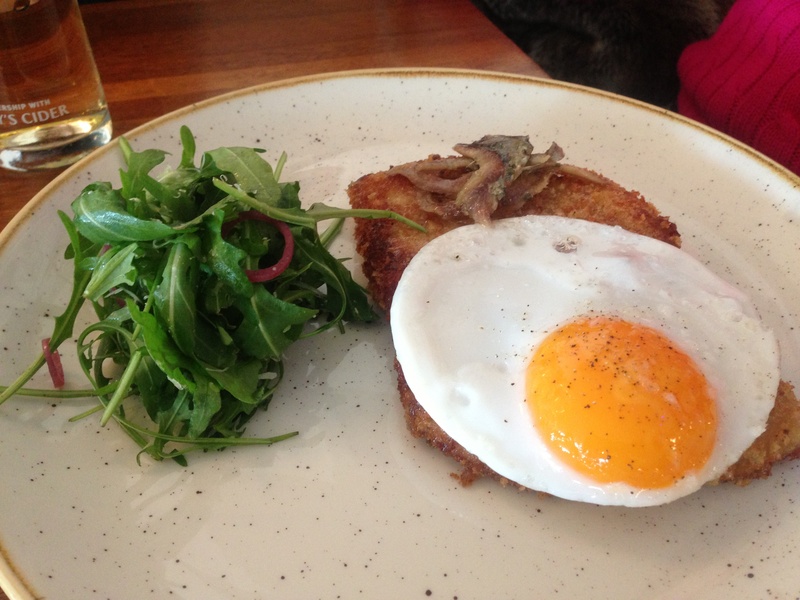 On paper a main of pork schnitzel, fried duck egg, anchovies and rocket salad sounded heavenly, though by the time it reached the table the pork had dried out a little and the egg yolk had progressed some distance past runny. The anchovies were of a high quality and suggested that despite the carnivore offerings, perhaps fish really is the way to go when in a Outlaw establishment. 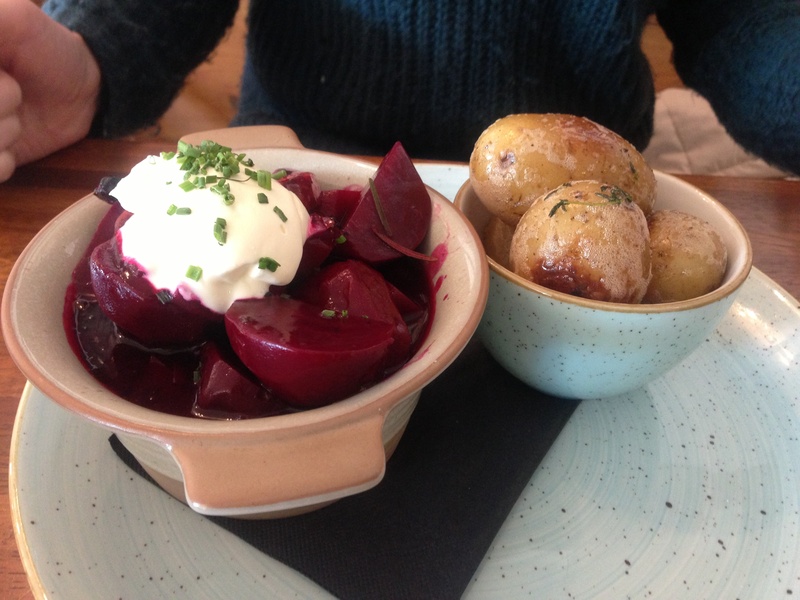 A meatless Bourguignon had chunks of beetroot as the main element, along with button mushroom, baby onions and a dollop of sour cream for freshness. It had nice acidity from wine but ultimately was Death by Beetroot. I get that its the trendy vegetable of the last few years but there is only so many times you can dip a spud into some spiked beet juice before worrying what it might be doing to your bowel movements. We never bothered with dessert, mostly because the opportunity for a sunset walk was too enticing, though a glance at a nearby tables indicated that we may have been missing out. There is no question that The Mariners is going to be a huge success; even on a warm December afternoon both inside and out on the terrace was heaving. They have the location, the great beers and the backing of a superstar chef, though, for the standards that Nathan Outlaw has set, it felt very much to me like work in progress.